Malilipot police has arrested the suspected thief – Hipolito Blanca of Purok 7, Cobo, Tabaco City, but their arrest of Blanca, did not paved the return of the looted religious artifact of the Parish of Sagrada Familia. San Jose, Malilipot, Albay, [03.31.18] – Three years has elapsed since the 146 years old church bell of Holy Family Parish [Parrochia de Sagrada Familia] in San Jose, Malilipot gone missing – the parishioners of this rustic village are still longing for the return of their bell and hear it peal once again in their parish. A male local parishioner of Parrochia de Sagrada Familia on Maundy Thursday confirmed to the www.philexaminer.com that their old bell remains missing since it was reported stolen. “We can no longer hear its uniform and successive tolls during church services in the parish as we used to hear it before giving signals the start and end of mass, announcing the coming of dusk to recite angelus, fire alarms – the slow, uniform succession of ringing are long gone now”, the source quipped. Another resident of Barangay San Jose, Malilipot also shared the same sentiment has also expressed his deep concern for the speedy recovery of the stolen bell. 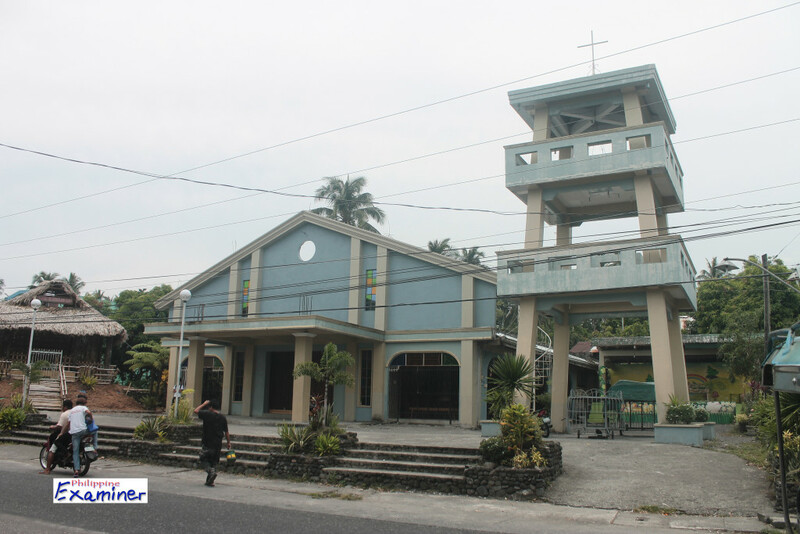 The missing church bell bears the date of December 30, 1849 is among the cherished religious and cultural artifact of the people of Barangay San Jose who is soon to be declared as parish, a local resident said. The century-old bell was reported missing in 2015 and a suspected thief, Hipolito Blanca of Purok 7, Cobo, Tabaco City was arrested by Malilipot Police last August 17, 2015 after attempting to sell the bell in a local junk shop in San Roque, Tabaco City. Blanca, together with a companion known as Wilson Bibon returned again to the junk shop on the following day [August 18, 2015], offering to sell again the same item, but the shop owner has refused to purchase the bell. Blanca’s arrest by Malilipot police has concluded the consummation of the crime as he confessed that the 25 kilos missing bell was indeed sold to a local junk shop in Legazpi City at the price of PhP2,500.00. Despite of the admission of the junk owner that he bought the bell from the suspect Hipolito Banca, however, the bell was never found as it was delivered to Metro Manila.